This 3 day tour includes admissions and guided tours, either with our own guide or with the property specialist guide. 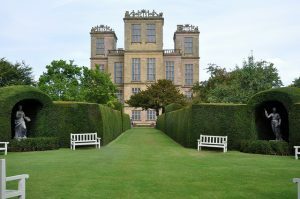 The first visit is to Hardwick Hall, possibly better known as ‘Malfoy Manor’ in ‘Harry Potter and the Deathly Hallows’. Ordered by Bess of Hardwick, Countess of Shrewsbury and ancestress of the Dukes of Devonshire, it remained in the ownership of her descendants until the mid-twentieth century. was another of her houses. 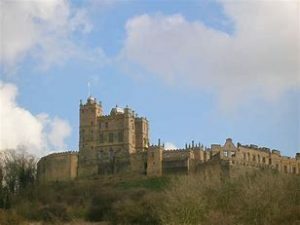 We move on to Bolsover Castle. With spectacular views over Derbyshire, the fairy-tale Stuart Castle was designed to entertain and impress. In the late afternoon, we check into our Hotel for a two night stop. 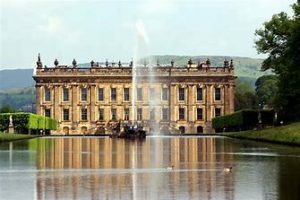 This morning we take a short drive to Chatsworth House, known for ‘Pride & Prejudice’ and ‘The Duchess’, for a tour and free time to explore before moving on to Haddon Hall. 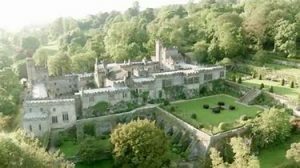 Haddon Hall has been used as the setting for ‘Elizabeth’, ‘The Other Boleyn Girl, Pride & Prejudice’ and ‘The Princess Bride’. We have time to wander around after our guided tour. In the evening, we join together for a Silver Service Dinner in the historic ‘Peacock’ at Rowsley. 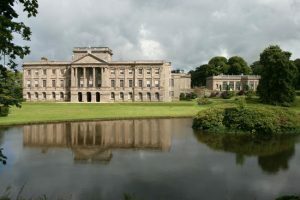 We have time to explore the Spa town of Matlock Bath and, maybe, take the Cable Car to the Heights of Abraham, before setting off and driving through the scenic Peak District to Lyme Park, where we can see the lake where Mr. D’Arcy took his bathe. Our return journey will start middle afternoon and pass through the ever charging countryside of Derbyshire, Cheshire and Staffordshire.